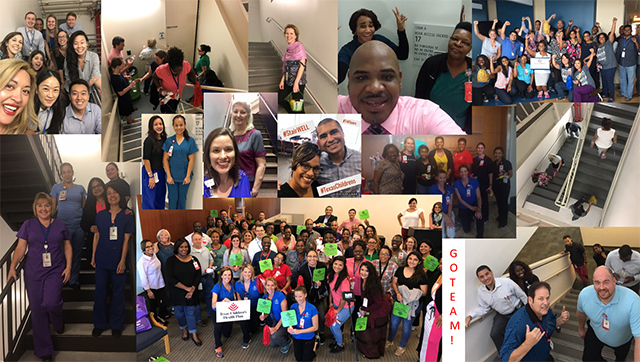 In support of Patient and Family Services’ Step Up for Patients First initiative, 2,083 enthusiastic Texas Children’s employees participated in the StairWELL Challenge during the month of June. Participating employees made physical activity a priority by committing to take two to eight flights of stairs a day to improve the elevator experience for our patients and their families. 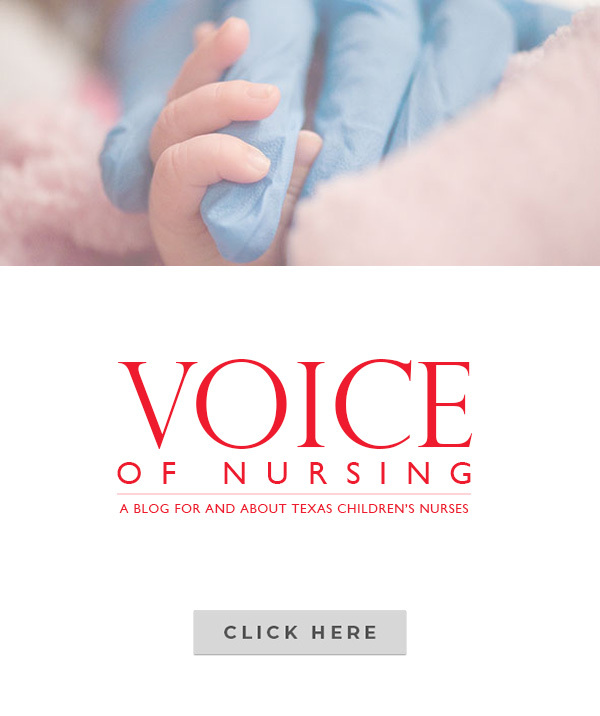 Texas Children’s Patient Experience Team received several comments from family members expressing positive feedback about the challenge. Several employees plan to continue the challenge. The Information Services team, for example, started Walk and Talk Tuesdays and Vertical Friday, which includes climbing 20 flight of stairs at the Feigin Center. Departments across the organization amplified unity during the challenge by leading group stairwell climbs and exercise activities. Take a look at this short video to see challenge participants in action. Want to achieve a personal fitness goal and help preserve the mission of Texas Children’s Hospital? Runners can enter the sold out 2018 marathon and half marathon races through the Chevron Houston Marathon’s Run for a Reason charity program. Texas Children’s Hospital is an official charity for the Houston Marathon and Armaco Half Marathon, taking place on Sunday, January 14, 2018. The Run for a Reason program is a way for runners to run the race of their choice with a guaranteed entry – on behalf of a charity. Running for Texas Children’s Hospital is not just about the race, it’s a promise to our patients. 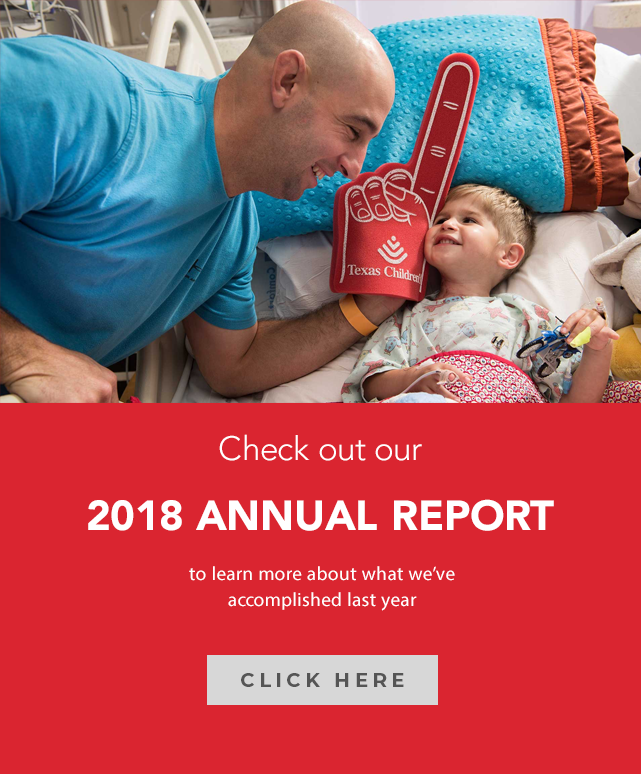 By signing up to run and fundraise on behalf of Texas Children’s Hospital, your donations will directly impact the lives of countless children. Your race will become the race for our patients who are too sick – sometimes too sick even to play outside. Your support will allow us to expand our care to even more children who need our help. 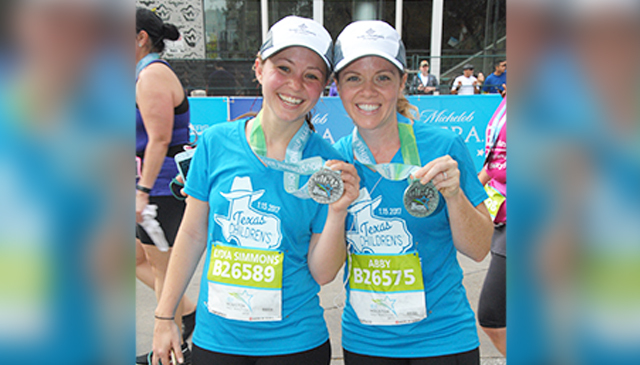 Make your promise and join the Texas Children’s Running Team today! For additional information and ways to get involved, click here. Please contact Claire O’Malley at ext. 4-2685 or runforareason@texaschildrens.org. Oh, the weather outside is frightful, but a Blizzard® sounds so delightful! 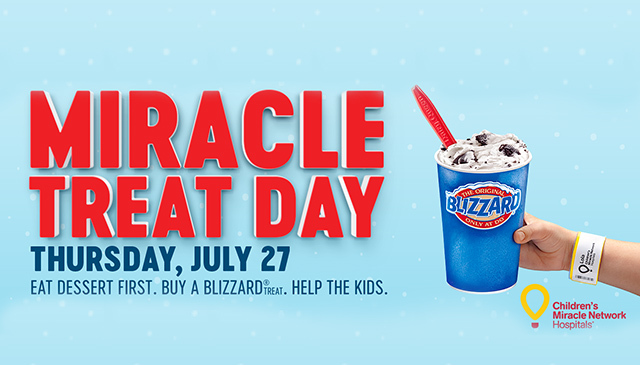 Beat the blazing summer heat with a Blizzard® from participating Dairy Queen restaurants on Miracle Treat Day, Thursday, July 27. Plus, it’s for a good cause. For every Dairy Queen Blizzard® sold on Miracle Treat Day, $1 or more of that purchase will be donated to your local Children’s Miracle Network Hospital – Texas Children’s Hospital to help provide life-saving treatment for children in need. Every minute, 62 children enter a CMN hospital for treatment. 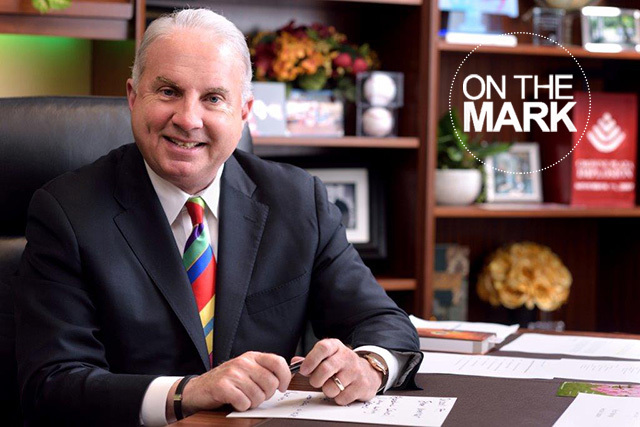 Over the past 30 years, the network has raised nearly $100 million to support pediatric hospitals across the United States. To learn more, visit MiracleTreatDay.com. Three years ago, Texas Children’s Hospital West Campus opened an eight-bed Pediatric Intensive Care Unit thanks to a generous $1 million donation by the Lauren and Lara Camillo family. 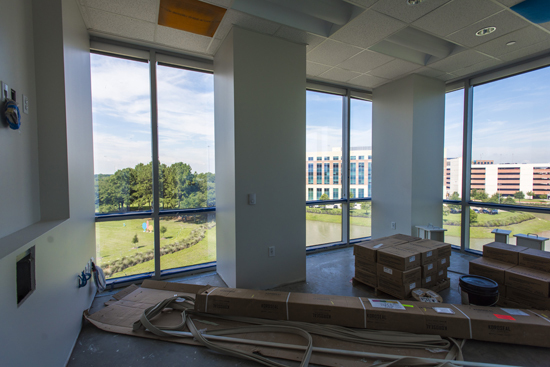 This fall, the last chunk of a $50 million capital improvement effort will expand the unit to 22 beds. 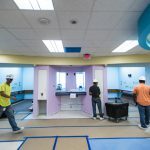 Construction on the project hit a midway point this summer and is expected to be complete in October, providing Texas Children’s West Campus and the entire Texas Children’s system with an opportunity to serve more patients and families that need our care. 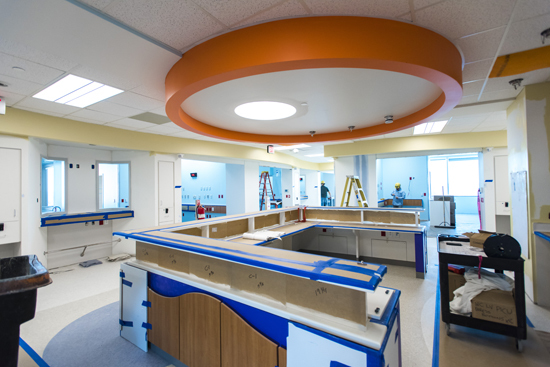 Initially, 16 of the beds will be used for intensive care and six will be for acute care. 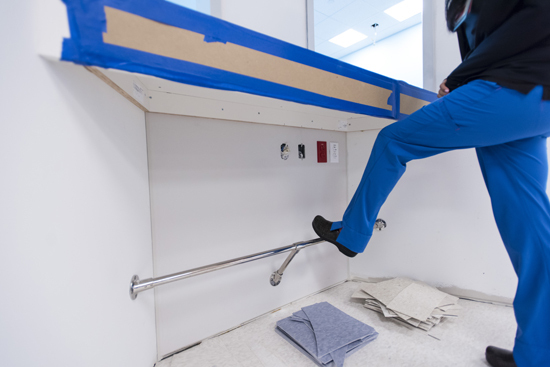 Two of the intensive care beds will have negative pressure and can be used for isolation. 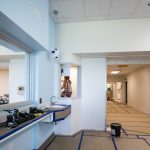 All of the beds provide more privacy for our patients and families, as well as better visibility and workflow for our nurses and other medical staff. 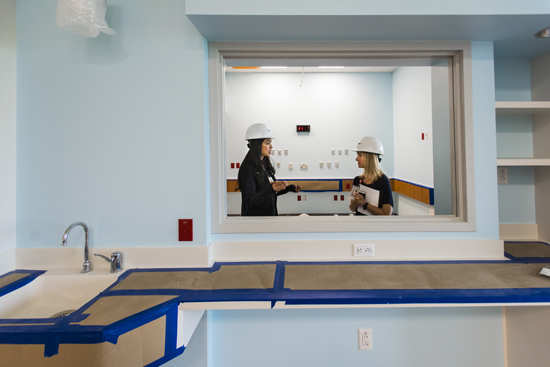 Located on the fourth floor of the hospital and painted in calming pastels, the unit expansion includes two large nursing stations advanced practice provider workspace, a simulation room, nutrition room, lactation room, call room and conference space. 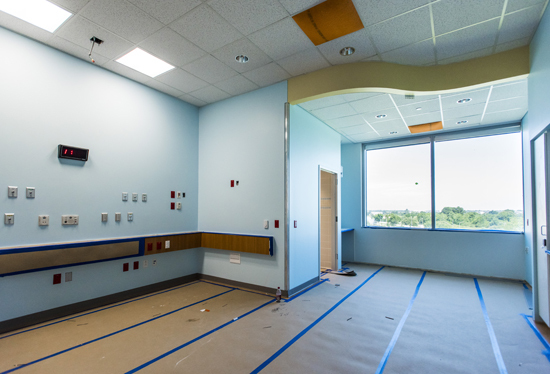 The patient rooms are spacious and have a private bathroom and seating/sleep area for family. 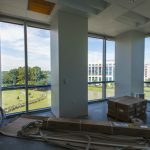 The rooms are lined with windows that face outside, letting in sunlight and allowing for great views of the hospital grounds and surrounding community. 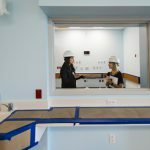 The rooms also include several windows that face nursing stations and adjoining rooms, giving medical staff ample visibility at all times. 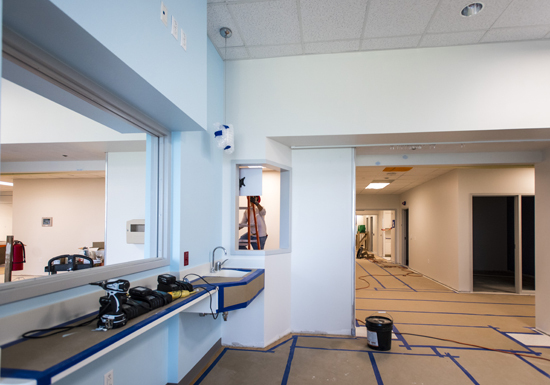 Equipment in the rooms and on the floor is robust and includes two blood gas machines for respiratory therapy and additional nurse station monitors. 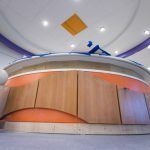 In the future, some of the rooms will be able to offer patients who need dialysis the capability of doing so from the comfort of their beds. 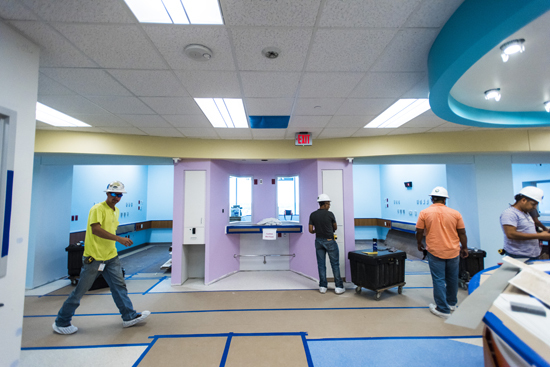 Also in the future, six of the rooms will have the ability to be converted into Neonatal Intensive Care Unit rooms. 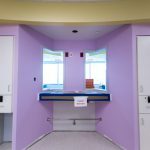 As a result, the unit will incorporate NICU design features such as a family transition room, lactation room and separate entrances to the NICU section of the unit. 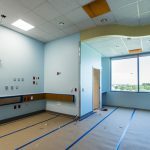 Karen Sripan, assistant clinical director of the PICU, agreed and said the planning and design of the PICU expansion has been going on since March 2016 and was comprehensive. 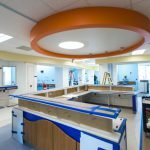 “We were very thoughtful in our design and engaged staff throughout the entire process,” Sripan said. 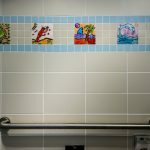 “We also were mindful of ensuring room design consistency with the Woodlands PICU so that the layout of the rooms are familiar to staff and providers working at both campuses. 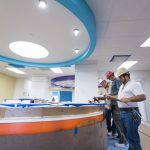 PICU Medical Director Dr. Matthew Pesek said he is very excited about the expansion and working in a space that is so geared toward patients, families and medical staff. 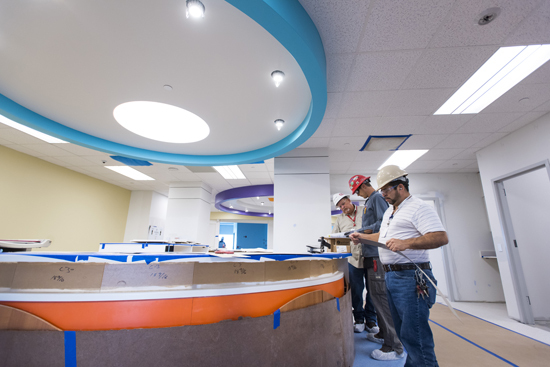 After nearly five months of renovations, Texas Children’s recently opened an outdoor play garden for patients and their families so they can relax and have fun during their visit or hospital stay at Texas Children’s. Located outside the Abercrombie Building, a beautifully hand-painted mural greets visitors as they enter the Merle C. Donigan Play Garden. 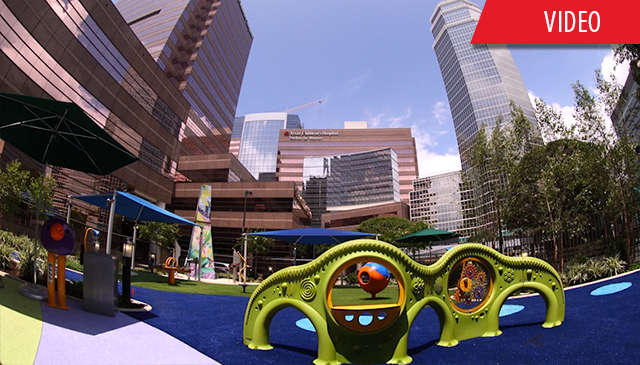 The play garden features a colorful display of child-friendly play pieces, musical instruments and plenty of shade structures, benches and lush landscape for optimal relaxation. Heat-resistant turf – green simulating grass and blue depicting rivers – keeps the ground cool during the hot weather. 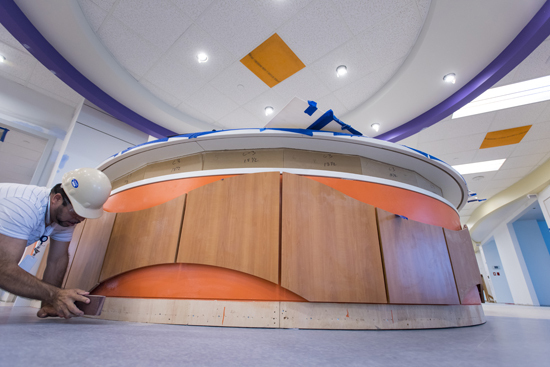 “All of the play pieces were carefully designed to ensure our patients – whether ambulatory or confined to a wheelchair – can easily access the amenities offered in the play garden,” Hoelker said. One of the biggest design challenges of this renovation project was figuring out how to creatively conceal the exhaust travelling from the underground parking garage into the play garden. 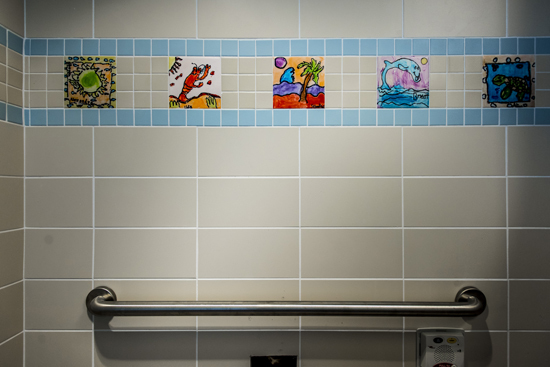 Instead of just building a wall to mask the entry point, the Facilities Planning and Development team collaborated with a local muralist to transform this wall into a carefully designed piece of art. Muralist Sebastein Boileau and his team spent countless hours hand designing and painting the mural as well as the light tower, which illuminates the play garden at night with different shades of color depicting the changes in season. 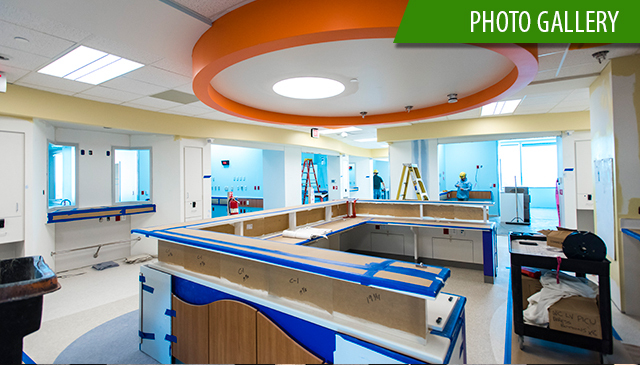 Patients and their families in Abercrombie can also view the play garden from their patient room window. 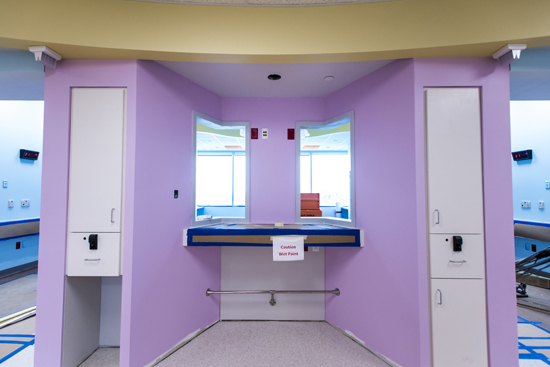 For patient families like Madison Fitzgerald, she is thankful to have this space available for her son and other children at the hospital. The new Abercrombie play garden was named in memory of the late Merle C. Donigan, a long-time Texas Children’s Auxiliary member who graciously donated funds to support this renovation project. 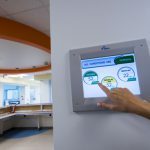 Texas Children’s has received the 2017 “Most Wired” designation for outstanding health care-based technology from Hospitals & Health Network Magazine – the flagship publication of the American Hospital Association. The 2017 survey of 698 participants represents 2,158 hospitals – almost 40 percent of all hospitals in the United States. 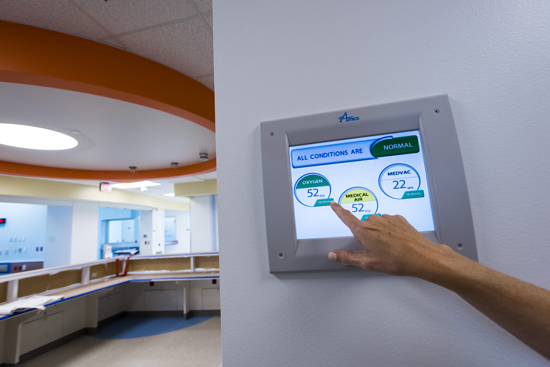 Texas Children’s has earned Most Wired recognition in 2013, 2014, 2016 and 2017. Applying PPID safety standards to breast milk – IS partnered with Nursing, Pharmacy, Milk Bank, Dietary and Clinical Informatics & Training to extend PPID safety protocols to breast milk. Centers for Disease Control guidelines say feeding expressed breast milk to the wrong child should be treated as an accidental exposure to bodily fluids. The new PPID controls hold breast milk to the same safety standards as medications in order to reduce the possibility of an adverse event from a baby receiving expressed milk intended for another infant. Enhance patient safety in acute care settings by ensuring the right patient gets the right meal at the right time, based on physician diet orders for considerations like allergies, restrictions and supplement requirements. Boost patient satisfaction by tracking, reporting and improving the on-time meal delivery workflow. The 2017 Most Wired Survey is published by Health & Hospitals Network. Most Wired results are available here.